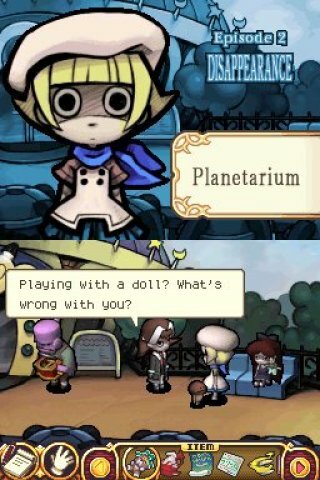 Playing a pair of games last week, 9 Hours 9 Persons 9 Doors and Touch Detective, made me finally realize that I don’t like adventure games at all. It took me a long time to come to this realization because point-and-click adventure games seem like something I would really like. They are a combination of reading, which I greatly enjoy, and puzzles, which I also greatly enjoy. Combined like they are in most adventure games, though, somehow makes them both less appealing. At first I thought I just needed to learn the methods, the syntax, of the genre to enjoy it. Listening to the terrific episode of Retronauts about adventure games led me to believe this was likely the case. So I fought through games like Syberia, Beneath a Steel Sky and Lure of the Temptress. While I found the stories enjoyable for the most part, I thought the solving arcane and baffling. I did play some adventure games that I likes, but they were all somewhat different than the traditional genre entry. 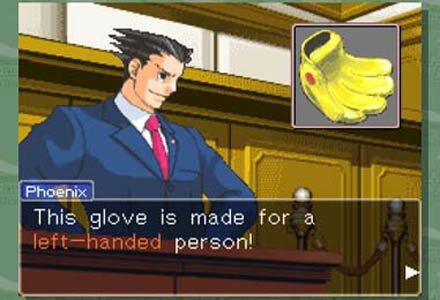 The Phoenix Wright games, while they have enjoyable characters and plots, have much simpler and straightforward puzzles. Never are you presented with a problem that you can’t solve at the time you encounter it. The series goes out of its way to make sure you have the tools to solve all of its problems. Then there are the Professor Layton games, which divides the puzzles entirely from the adventure game parts. The puzzles are also more brain teasers more than environmental hurdles. Zack and Wiki have more traditional styled gameplay, but broken up into easier to digest discrete stages. My first problem with “real” adventure games is that the puzzles are so sprawling that I have trouble identifying the puzzle. I know that is part of the solving of an adventure game, but I often find it needlessly obtuse. Such is the case for much of Touch Detective. I feels less like I am solving problems and more like stabbing wildly at crazed leaps of non-logic. My other big problem is that they don’t let you skip steps. (I know this one is all on me.) Once I figure out the solution, the games don’t just let me put in my answer and go. I still have to go through the motions of solving it. This is what is supposed to be fun about these games and it annoys me. When I know the answer I don’t want to do the problem anymore. Noting this has helped me realize that adventure games are just not for me. And that’s okay. The genre shouldn’t change so that I (and people who feel the same as me.) can enjoy it. That would ruin what the fans of the genre like. There are certainly things that could be improved, but I’m more than content to just accept that this is a genre I don’t enjoy.